Pre-sell your development, directly from the plan, prior to building. Reduce your risk with a cost-effective ViewBuild Virtual Model. 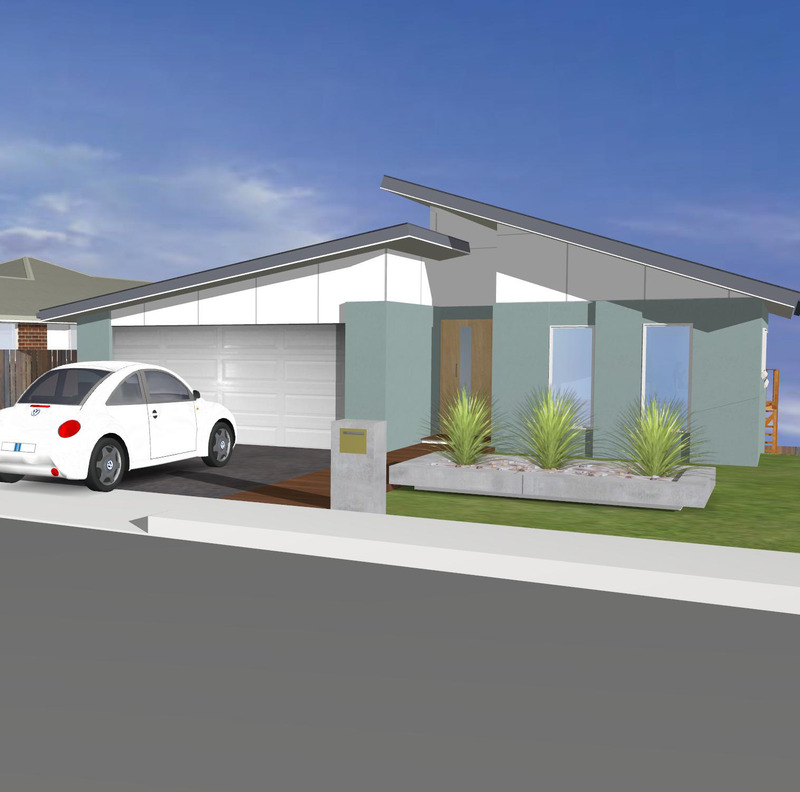 A house or unit modeled with choice of colour/materials externally. Indicative landscaping where applicable. 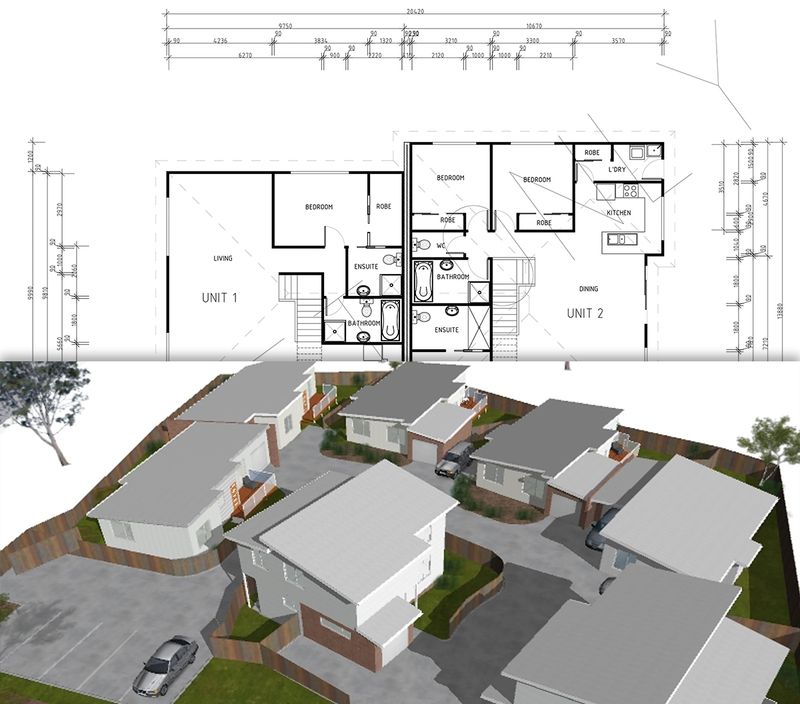 A PDF Document suitable for presentation to most councils and planning authorities containing shadow images of your proposed development on a range of dates and times. 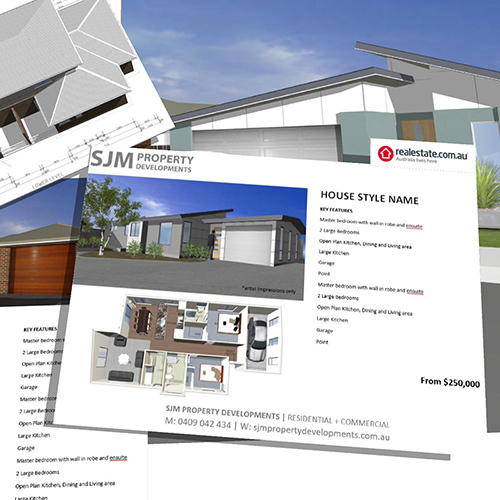 A Powerful advertising document to show prospective buyers your proposed development. A single-sided PDF document containing an image of the external view of your development and A top-down view of the internal layout of your development. Information included on the document: Your Logo, Property Title, Your Contact Details, Property Cost Range, Features of the Development in bullet points (usually around a dozen points)and disclaimers. All prices quoted are in Australian Dollars inclusive of GST. Price does not include the creation of the ViewBuild Virtual Model.